I told myself: ZYL is damn good, so so damn good!!!! yeah... It’s because of this that I definitely fell for him … his acting is something you don’t see everyday, it’s something of exceptional, something that grabs you and keeps you there on the screen, COMPLETELY under his spell… HE’S PERFECTION!!!!! It seems that he went with heavy makeup, and the idea behind it was that the bodily performance and singing should convey the emotion. 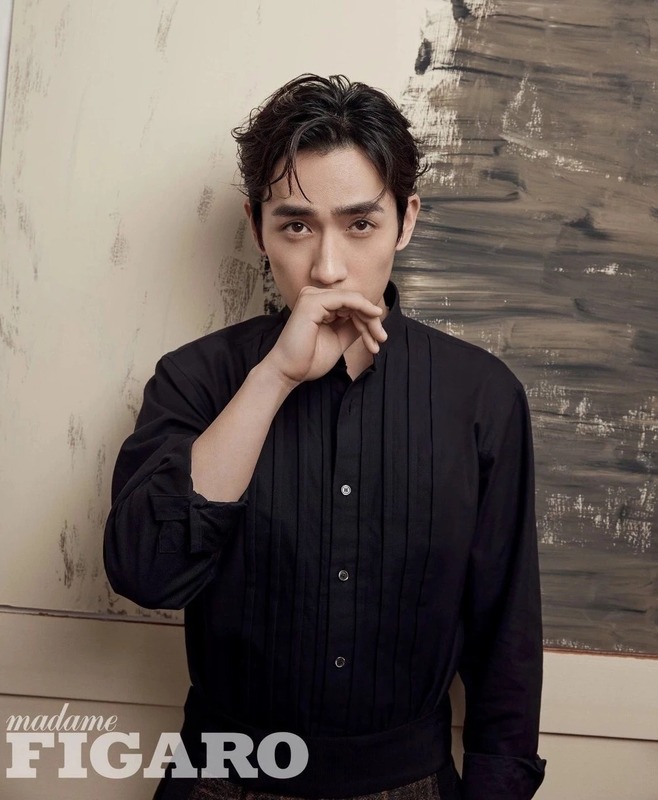 Remember, people were criticizing that his "posture is bad", which turns out meant that his bodily acting was stiff in their opinion (they only looked at Shen Wei, and not his other characters, and mistook characterization as a flaw). So Zhu Yi Long sneered in his heart and said, look, I can! OMG OMG OMG!!!! I NEED to see this!!! singing, using his facial expression and body are HIS THING… Im sure he'll be AMAZING!!!! I CAN’T WAIT… hoping for some good soul willing to put also eng sub… CAN’T WAIT, REALLY!!!! in the head of their Weibo account there's also a pic of ZYL!!! I particularly like this one as well, because of how his waist is emphasized. Sometimes the cut of his suits is a bit wrong (at events), he has a narrower frame so he needs the suit to sit well. 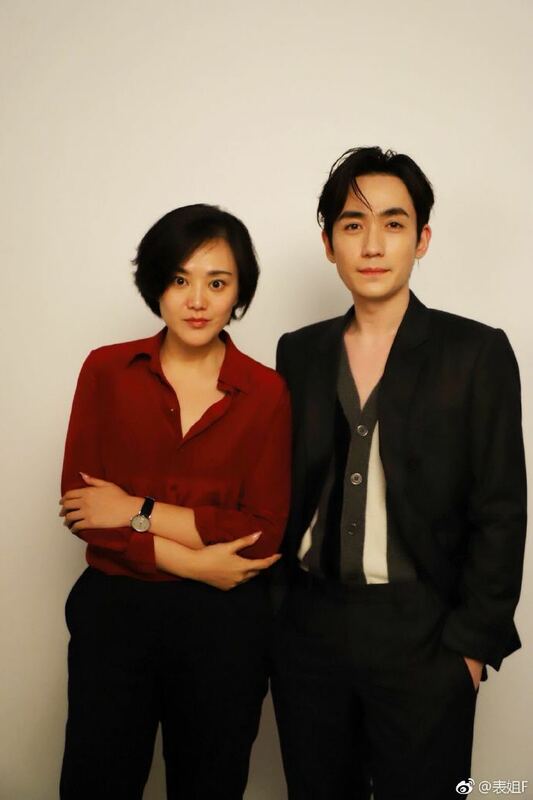 Some of his suits (can't recall a specific example, or maybe what he wore during the Mango event afterwards, I noticed that the host's (He Jiong) suit was really well tailored to him, in comparison to ZYL that had a poorer fit) create a sort of fake hourglass figure for him, very nice on women;,on men less desirable; because the waist of the jacket is quite high and then flares out too much in the lower part, creating an illusion of hips. Then his hips appear almost as wide as his shoulders, especially as these suits are particularly tight in the back and shoulders. The better suits show off his trim waist and hips. 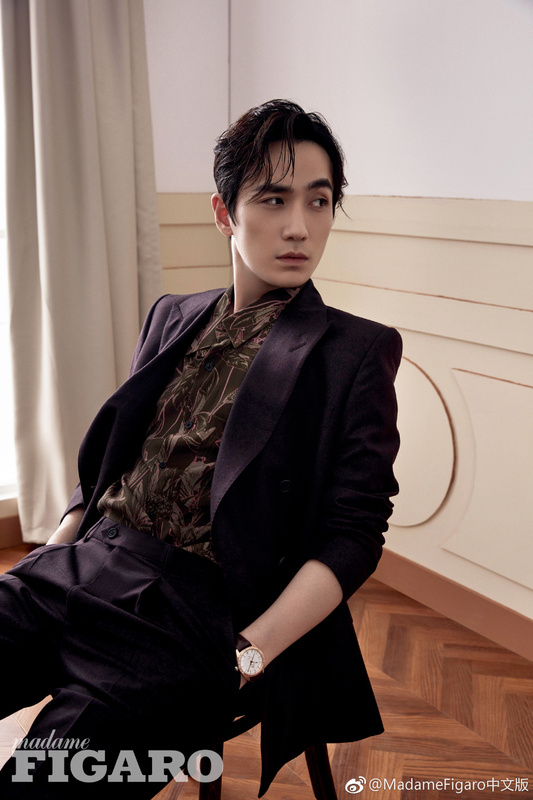 Shen Wei's suits were all great, and in magazines also mostly. But I think they're getting better overall. No point in wearing an expensive brand name suit if it doesn't fit well after all, for the person or for the brand. He Jiong in one Phantacity episode I think was wearing a really nice shirt as well (https://youtu.be/moP23aY2WdA?t=15m3s). I really like this type of shirts. They have a more sturdy/thick front panel, so that you don't need to wear an undershirt, but then the sides and back can be of a very light and breathable material. Also cut tightly into the waist. Looks particularly nice on men. And is probably comfortable. Anyway, sorry about this random interlude into men's fashion. I'm also weird about textures, I don't like velvety and thick materials (with the exception of nice wool). ALL RIGHT, CAN'T WAIT to read this about 3K words ZYL interview... tomorrow takes so long to come!!!! comic strip inspired by long ge's basketball lovestory. Anyone saw the cut of the alternate ending of Guardian? @Evil Blea I just watched since you mentioned. It's not easy to find twin child actors who can act, so in that sense it's difficult to deliver an emotional scene. But I still like this more, because I really needed some comfort at the end. 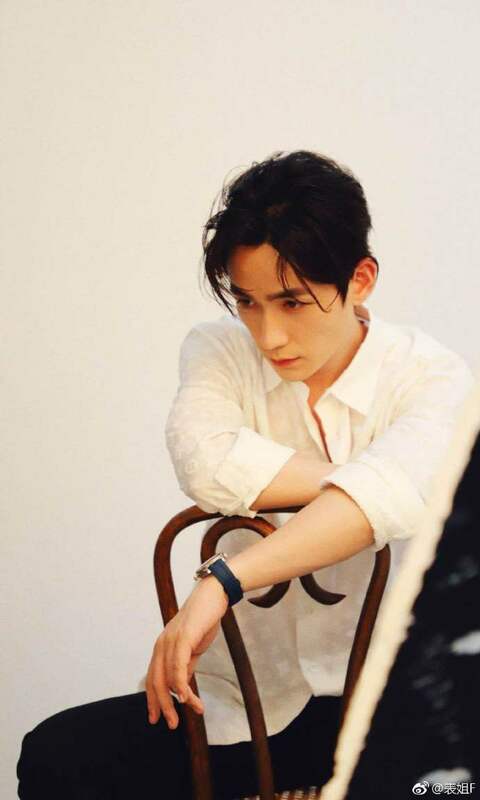 And there's also the symmetry of Zhao Yunlan waiting for Shen Wei for a change. But either because of censoring, or because the execution was a bit lacking, it didn't make the cut. I haven't seen these before. @siobhanne emmm, I think that’s a commercial photoshoot for Skopf. I wonder those pictures will ever be released. It is still awkward to speak of. If I remember correctly, the alternative ending of Guardian was cut off by Youku. Before the last episode came out, someone spoiled the storyline of the finale on the internet and the fans were furiously objecting that ending. So Youku took that final scene off. You can see that the last episode is a few minutes shorter than a normal episode. 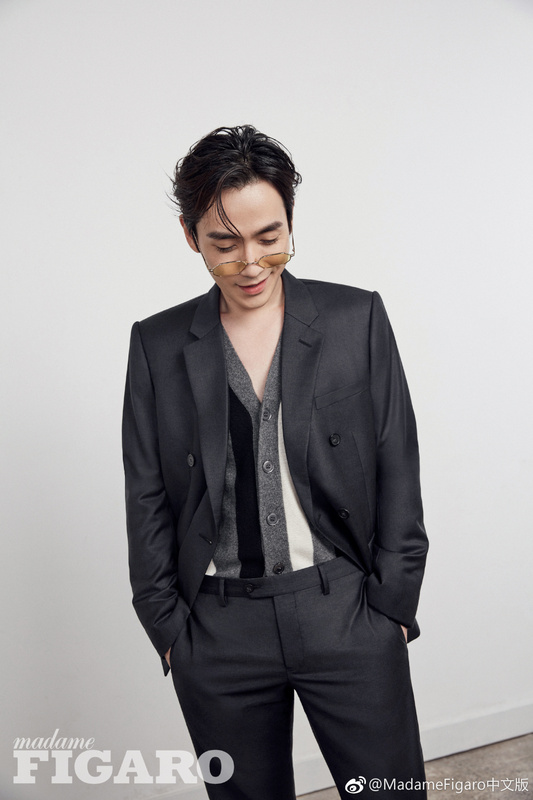 ZYL's interview for Madame Figaro. Or. Not so much an interview, more of an article. I personally always find it more interesting if the actual answers are given, not just the reporter's impressions. I saw some update that our ZYL still manage to enjoy his beloved hot pot in Australia haha~ the hotpot maniac lol. It's adorable really. Sorry I can't post the pictures cuz I'm a noob. 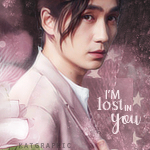 I'll try and learn tho ^^"
Btw, the filming for Lost Tomb Reboot is supposed to start in October right? Does anyone know when they're going to announce any of the other cast besides ZYL? just take a knife and plunge it into my heart why don't you. Yeah, he said at the lv event that he's gonna start on the new project pretty much straight after. But his assistant apparently promised they're gonna have his thousand year old zit treated first. He used to film this much previously as well, what's different now is that he's doing all these other events in addition. But we're just gonna have to trust him to be able to recognize when he is about to hit his limit. Anyway, he's confessed he gets antsy if he has a lot of time off (read: more than a week), so he's not great at unwinding probably. He should work on that skill, but if he's gonna be a workaholic, right now is the best time to do it. Hotpot. I think these weren't taken by a stalker but let me know otherwise and I'll remove. “Thousand year old zit” hahaha I also realise he’s had it for a while. I didn’t know it could last that long? Anyway, hope the treatment for it goes well hehe. Wow it sounds like he really doesn’t know how to rest. Finishing projects and continuously going to the next one, and on top of that he’s doing all those photo shoots and commercial, now that he’s more recognised. Yea, I really do hope he gets enough rest! But I also understand he probably really wants to put out new stuff for his fans cause he’s at that stage in his career where everyone’s zoning on him. OMG!!!! Reallyyyyyyy HOW MUCH IS HE SWEET AND CUTE with that baby actor? I'd like to know what he's talking about with the kid... he's so serious but sweet at the same time, ADORABLE!!!! and the music background is so similar to the one used for the disney animation movie "inside out" that I LOVE!!!! @Evil Blea technically a year old or a bit longer. They need to inject corticosteroid into it or if that doesn't work have it surgically removed. 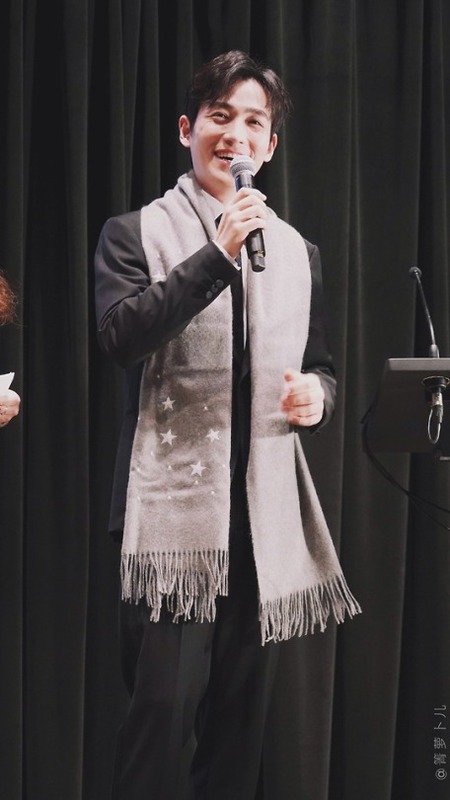 He said that he wants to record his appearance when he is young :p. But I think with such an unpredictable career, and with a lot of employees depending on him, they need to hit the iron when the fire is hot, because they don't know how long it will last and if it will ever come back. Just financially speaking. Directors who have worked with him seem to all love him, so I think he can continue acting for a long time. But the lucrative time is now, and the better he does now, the better his chances for interesting roles later on. Hopefully he'll manage to get to a position where he can establish himself as a movie actor, since that's what he seems to want to do. 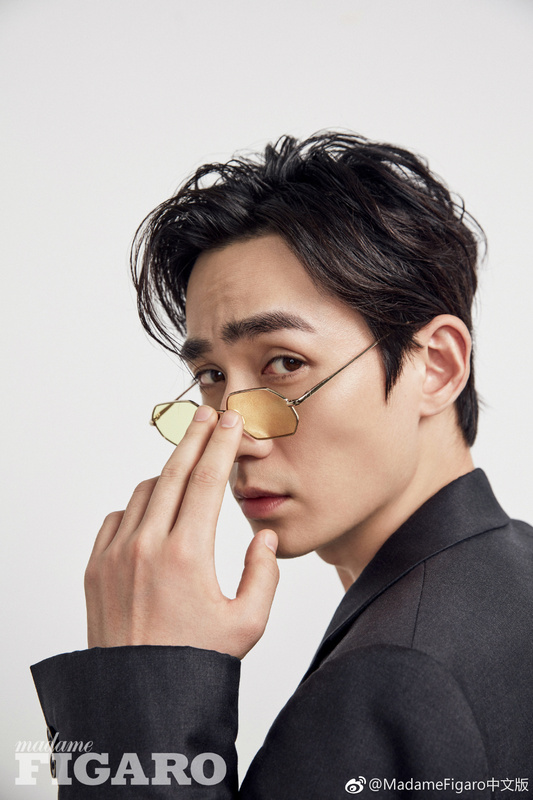 He's also said his ideal would be to film a movie for half a year and the other half to go travel. Which wouldn't really work if he gets antsy after a week. 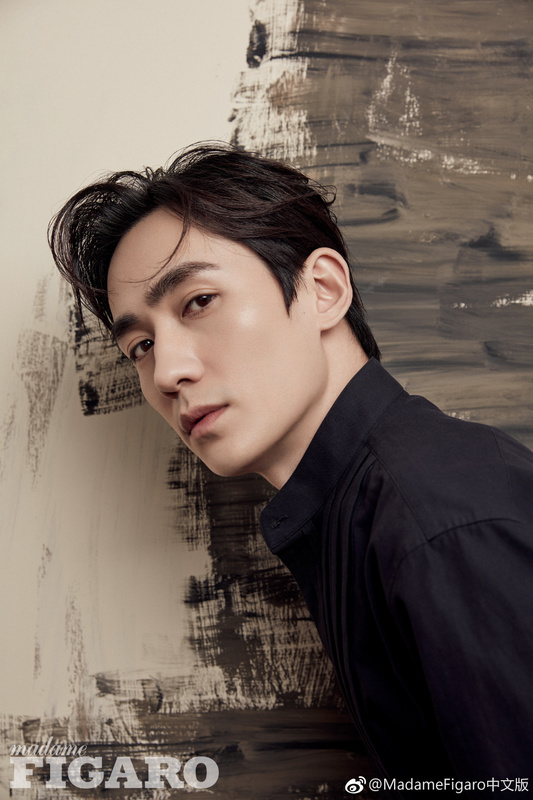 Personally I'd love to see him in a quality series full of political intrigue like Nirvana in fire or the disguiser. Anyway, with the limited time to himself that he has currently it would be nice if people wouldn't follow him everywhere.